May display chevrons in varying hues of purple, with various tones of white, red, orange or yellow. 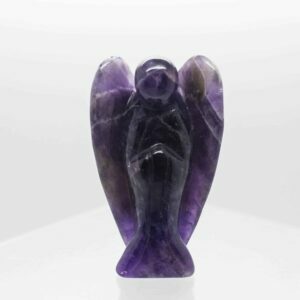 Chevron Amethyst can be used to cleanse the aura and to assist with the release of tension within the auric body. Can be helpful with Shamanic journeying, with aspects of self evaluation and self reflection. Repels negative energies and reinforces the protective shield around our bodies.